Click on the image to be taken to the video's page. 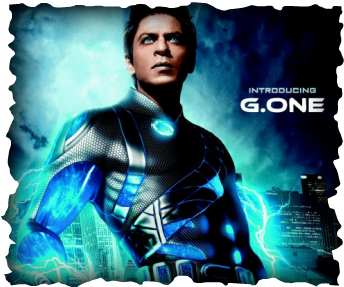 SRK as G.one in 'Ra.One'. Long term King of Bollywood, with more movies under his belt than I could list here. His latest Blockbuster is called 'Ra.One', and soon it will be followed by 'Don 2'. Click on the Image to be taken to my Ra.One page and watch my review of it's Symbolism.